Are you guilty of coveting a magazine perfect Christmas? There’s a few reason’s why you need to release that image of the picture-perfect Christmas and embrace the Christmas chaos that’s thrown your way. The Dangers of Coveting a Pinterest Perfect Christmas! Yep, Thanksgiving has yet to arrive but everyone seems to be in full blown Christmas mode! Even my cousin posted pictures of her Christmas tree up and decorated. Whether you scroll through Pinterest, flip through your favorite magazine, or see holiday ads on TV, perfect versions of Christmas are popping up everywhere since before Halloween. While they are nice to look at and can serve as inspiration for your own holiday decorating, cooking, and gift giving, there’s a hidden danger in these perfect depictions of Christmas that you need to be aware of. The key word here is “perfect”. When you’re looking at these holiday images you’re presented with, there’s a real danger that you start to expect your own family Christmas to have the same look and feel. That’s about as realistic as wanting the perfect, air brushed body that the Kardashians portray….months after giving birth no less. Coveting a magazine cover Christmas will only lead to disappointment and a feeling of inadequacy. While we may intellectually know not to expect the perfect holiday display in a family with young children and pets, we may still subconsciously want it after seeing these perfect holiday visions all around us. Since we can’t realistically have a perfectly decorated home, or a color-coordinated tree with designer ornaments, we unintentionally end up feeling disappointed when we look at the macaroni ornaments on our tree. When we fall into that trap, we miss out on a lot of what makes Christmas so special. It isn’t about perfection, gourmet food, and color coordinated ornaments. It’s about sharing a special time of the year with our loved ones. It’s about sharing memories and making new ones. It’s about baking cookies, giving gifts, singing Christmas songs, hanging lights, sipping hot chocolate, and make more of those beautiful handmade ornaments with the kids. It’s about being a messy, loud, and happy family enjoying Christmas together. Don’t let this idea of perfection take the joy of the holidays out of you. Go bake some cookies and make a big mess. Some of my favorite Christmas cookies are these Peppermint Crunch Chocolate Chunk Cookies, Strawberry Cheesecake Thumbprint Cookies, and of course….Santa’s “favorite” cookie…. Bourbon Glazed Peppermint cookies. 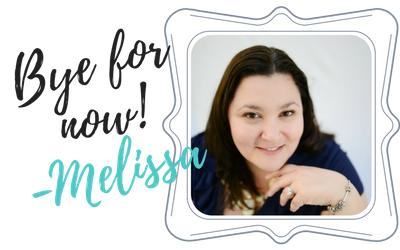 Baking cookies is my absolute favorite past time to do with the kids…and we’re always experimenting to find the newest most delicious cookie…in fact…I created a cookbook with our top 25 Christmas cookie recipes! 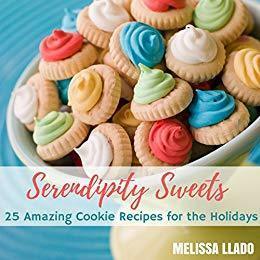 Grab your copy of Serendipity Sweets available on Amazon. Hang those construction paper ornaments with pride. Get out all the kitschy little decorations that remind you of your childhood. Crank up those holiday’ tunes and then nestle up in the couch with some hot chocolate and sugar cookies to watch “The Year without a Santa Claus” or (my favorite) “The Santa Clause Series“. Find some ridiculous games the kids will love and just fill your days with laughing! 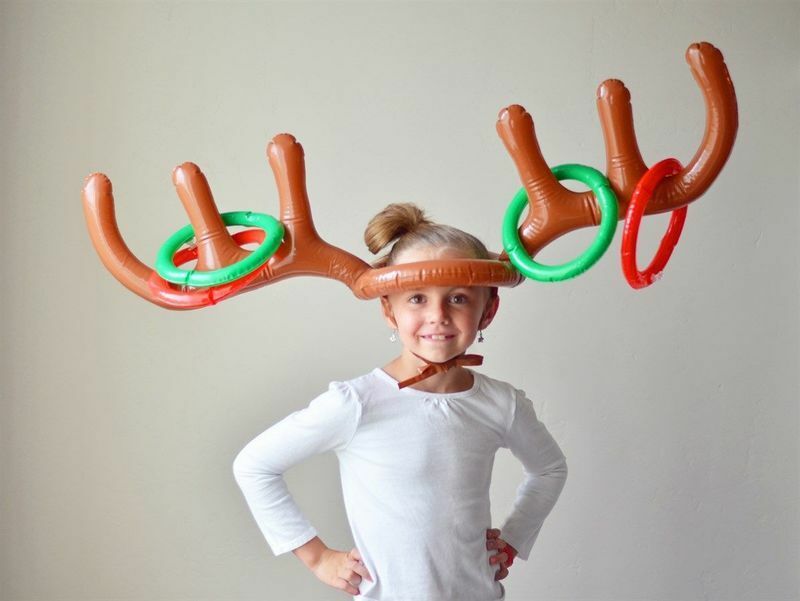 Play some “reindeer games” with this fun blow up reindeer ring toss…it’s only $6.99! Charades are always a belly-full of laughs…and now there’s a holiday specific Chrismas Charades game.…game on!! Who cares that there are crumbs in the blanket and one of the lights on your tree is out. What counts is that you’re having a good time.